Ateena – Hostellit kohteessa Ateena. Ateena -karttoja, valokuvia ja arvosteluja kaikista Ateena -hostelleista. Etsitkö halpaa hostellia, retkeilymajaa, edullista hotellia, huoneistoa tai aamiaismajoitusta kohteessa Ateena? Älä etsi enää, kaikki hyvät tarjoukset kohteessa Ateena ovat sivustolla Hostellit.com. Kuten tuhannet ihmiset joka kuukausi, varaa hostellisi turvallisesti parhaaseen hintaan kohteessa Ateena. Tällä sivulla voit helposti löytää hostellin keskustasta, trendikkäistä lähiöistä, ylioppilas-kaupunginosasta, läheltä tärkeitä kulkuyhteyksiä tai nähtävyyksiä kohteessa Ateena. Some rooms overlook the pedestrian street and others the garden. 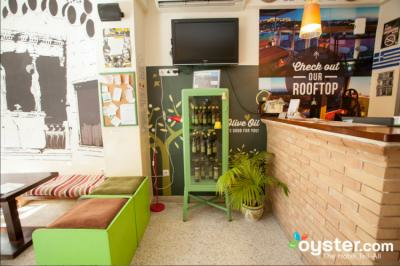 The hostel is 1.9 miles away from the Acropolis. Just 50 feet from the hostel is a bus stop, while Panepistimio Metro Station is 1,650 feet away. National Archaeological Museum of Athens - 0.5 miles, Kolonaki Square - -0.6 miles, Omonia Square - 0.6 miles away. Supermarkets, cafes, bars and restaurants all around us. Eleftherios Venizelos International Airport is 25 miles away. Within walking distance from the National Archeological Museum and Lycabettus Hill, the French Institute and the Goethe Institut, Nubian Hostel is in the heart of cultural action downtown. Situated just a few blocks from Panepistimio metro station, the area is full of theatres and cinemas, art galleries and live music spaces. Here you’ll also find local collectives and social spaces hosting events, workshops, talks, movie projections, live shows and more. Muchas gracias por todo. Nos ayudaron mucho durante la estadía y nos dieron los mejores datos de todo! modern, clean, staff were very friendly, great atmosphere, quiet location, comfy bed, reliable wifi. Overall, its a good hostel. Clean and spacious rooms. The beds are comfortable beds and felt new. The pillows were soft, and the wifi worked well. The Acropolis and the museums are all within walking distance and you can do it yourself easily. We will provide you with our suggested walking tour and free customized map. 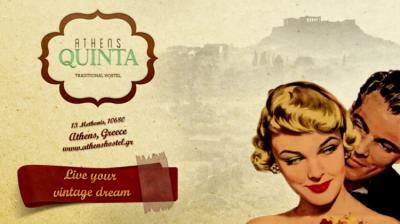 Monastiraki is famous for the flea market so check it out; you’ll find something cool for sure. Our neighborhood (Psirri) is well known in Athens for being the heart of the city’s nightlife and is now home to well-kept art galleries that have brought the art scene closer to life.